I have not downloaded the pdf yet but it reads really well. Is this a series, do I need to start from a certain story? Hi, thanks for reading. Each short story in the series is a stand alone episode with different characters, so you can jump around if you like. 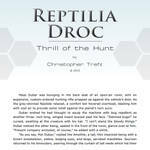 However, each story you do learn a little more about the Droc and what's going on. So a suggested reading order would be 1. Survivor, 2. 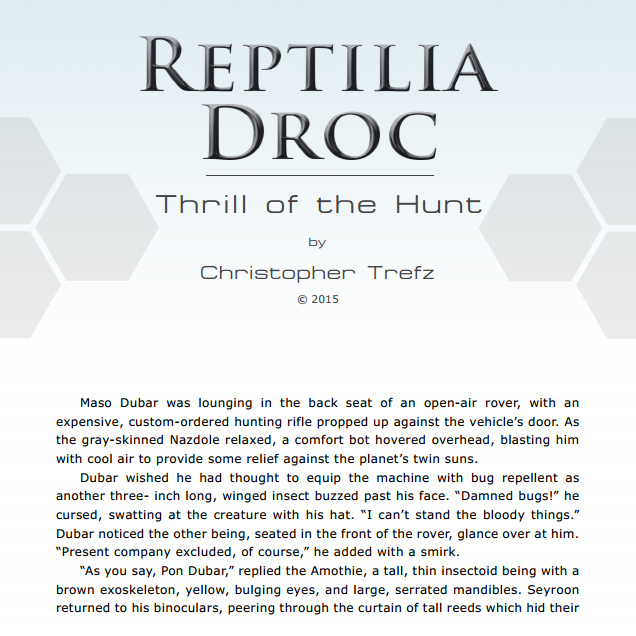 Thrill of the Hunt, 3. Hide'N'Seek. I'll probably go back and number them in the titles for clarity, but first I might add one more story in the middle. Then basically all the short stories together are a prequel to my Novel I'm finishing up, called "Scavenger". the editorI make bad things go away. Hit man? No, it's nothing like that. No, not organized crime. Christ, kid, where do you get these ideas? I bet it's television. Or those goddamn video games you people are always playing. What? So now I'm being judgmental? Do you know what I could do with one scratch of my pen? No, forget it. I'm a little tired, that's all. It's hard work, you know. If you'd just listen for a moment, I'll tell you. I'm a city editor. Not like newspapers, no. You have to train a lifetime to do the kind of work I do. And even if you do train a lifetime, not everybody's got the brains for it, you know? Imagination, that's what I'm talking about! You're young. You know imagination, don't you? wasted is what you call it, right? Better I drink this poison anyway. You're not old enough to be ruining your liver. "President Whitemore has been captured by Russian Forces. Use of him and cabinet as hostages and leverage is inevitable. Revise Request: Send all Autobot Alliance as well as FSOF, NEST and GI JOE Strike Teams to retreive High Priority Target. This is of utmost importance. Failure is not an option." - Autobot Alliance Pulsewave Communiqué to all Autobot Alliance and Allied forces, 2 days before the launch of Operation Rescue Eagle One. Hawk - 'I want reports now! We have to have all our plans in order."